Lewis Black has built a career on giving voice to the anger of Americans. His standup fills theaters across the country and his appearances on The Daily Show draw hoards Online and on TV. But the current political climate is driving Lewis and his long-time comedy partner, Kathleen Madigan, north for an extended tour of Canada. Lewis and Kathleen Escape to Canada is a stand-up album with way more than just jokes. The Grammy-award winning comedian performs rants sent in from the public, and he and Kathleen respond to them from the stage. Reverse Transmission is a darkly comedic story that combines elements of science fiction and dystopian thrillers, centering on a murder spree involving a self-driving car. Jay, a starving artist, gets the only day job she’s qualified for: “driver” of a self-driving car at the rideshare company Awooga. The job turns from hilariously awkward to intensely frightening when the car runs over a pedestrian and manipulates Jay into disposing the body. Who or what is causing the car to kill? Could it be the CEO of Awooga? Has the car become sentient - and homicidal? Or is an anti-technology cult resisting artificial intelligence and augmented reality behind the violence? Reverse Transmission was written by Param Anand Singh and directed by Ben O’Brien of Wham City Comedy, a collective known not only for their brilliant and unsettling sketches and performances but also for the “easter eggs” carefully placed within their works. Listeners will have as much fun unscrambling Reverse Transmission as fans did with some of their previous work. 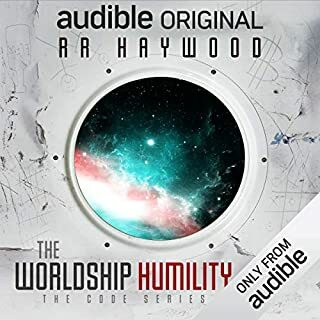 ©2018 Audible Originals, LLC (P)2018 Audible Originals, LLC. CAR loses control of itself, putting Jay’s life in peril. CEO Dunning Krueger is greeted by his family, his dozens of smart devices. 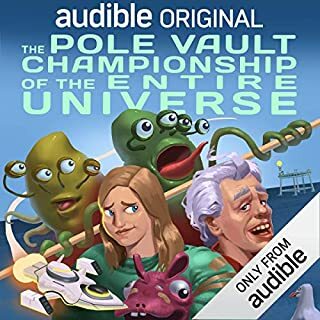 This audiobook is incredible. It has much more on it than it seems at first glance. There are clues hidden all about the audiobook which lead to phone numbers, websites, images, you name it. From what has been uncovered so far, I daresay scope of it is comparable to This House Has People In It. 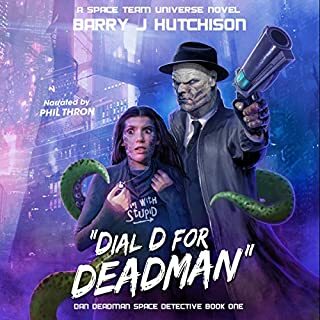 I would recommend this audiobook to everyone who loves a good story, a good mystery, and has some time on their hands. After listening to the entire thing I recommend relistening the entire audiobook and scrutinizing both the content of the audiobook and the audio itself closely in order to start uncovering the clues that will no doubt lead you down a complex, winding rabbit hole. This was better than I expected! The voice acting is on point, the plot is fascinating, and Alan as CAR is a delight. This is the first time I've listened to it, so most like Wham City / Alan Resnick/Ben O'Brien projects, I'm completely intrigued and at the end I have no idea what the hell is going on. Not because it doesn't make sense, but because it's created like a riddle, like everything else they do. I don't want to spoil anything, so I'll just say that if you're a fan of Wham City, or if you have a high tolerance for strange and complex performance art, give it a go! Reverse Transmission is Amazing and deeply Philosophically Poetic. 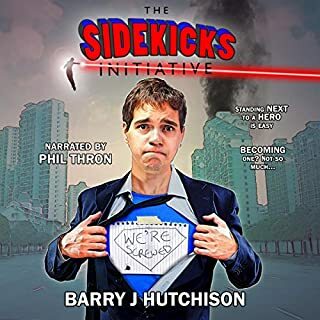 It was a meta statement about the very nature of modern Radio Dramas as a result it was entrancing like The Twilight Zone Radio Drama or Hitchhiker's Guide to the Galaxy or any other revolutionary masterpieces. In my estimation Reverse Transmission makes you really wonder what can achieved in sound alone and what intelligence's might be achieved by total immersion into imagination. I reminded me of Samuel Beckett, Jean-Paul Sartre, William S. Burroughs, Douglas Adams, Rumi, Ray Kurzweil, Mark Z. Danielewski among others. 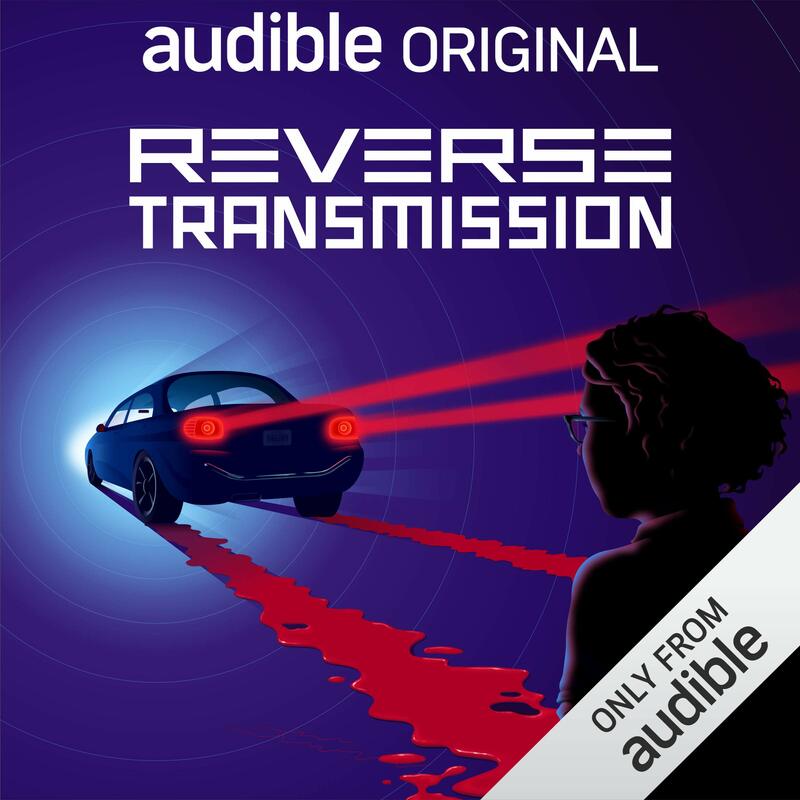 I'm currently re-listening to the Reverse Transmission. Holy cow. I didn’t expect this from Wham City. I thought this might be bizarre and mostly funny but instead I got a totally engaging mystery with the most real writing and acting this side of the Mississippi. 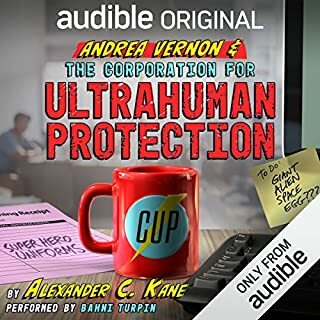 The sound design and theme song are through the roof good and the writing would be completely at home for a feature length movie or television show but somehow it is perfect right where it is in this “audiobook”. More of a radio play, really. Now, these last two contributors are unfamiliar to me as I primarily am here for the Wham, but I must say I will surely be investigating the talents of writer Param Anand Singh as well as sound designer/composer Chester Gwazda. Overall, the realness, intrigue, comedy, and performances make this audio experience something I am sure to listen to many times. Ending leaves you wanting more, please give us some more content!!! But thanks very much for this amazing experience. Treats like this let us know creative story telling is nowhere near done! 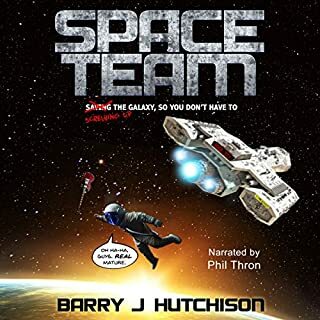 This is a bold and snappy and futuristic journey that shows what you can do with a narrative using only audio! It's cool, I really enjoyed it. They really explore some new science fiction/ Black Mirror realm. It's relatively short so I blasted right through it. Good job! Fantastic writing and boy, what a performance. Alan Resnick is clearly dripping with talent. He does a fantastic job with the superb script. I was thoroughly entertained. What are you waiting for? Download this story, ya dummy. Wonderful cast and voice acting. I felt I was actually there. I would recommend this book to anyone interested in technology, dark comedy, and open imagination. Fun, but felt like a student project. I really felt like I was listening to somebody's podcast or student project here. A fairly well done project, but not as polished or developed as I expect from a published work. It's performed by a cast, and presented from different perspectives, leaving much for the listener to work out for themselves. It kept things interesting, but if you like a story to be neatly wrapped up by the end you may be frustrated. Occasionally, the scene shifted to a talk show in which people discussed what was going on in the story. It became a bit too self-referential, and soured me on the piece a bit. Nonetheless, the approach was bold and the story took some great turns. Had promise, but it was bogged down by some really obnoxious characters and an unsatisfying ending. A good few of the characters were fantastic, the standouts being CAR and 7, a lot of them were really annoying. Would be mad, but i got it for free so i'm just kind of disappointed. Liked it well enough, but I don't think it's worth a credit or the asked price.